A NEW MINISTRY of the Women’s Society of Christian Service (WSCS) calling on the Barker Road Methodist working women to impact their workplace for Jesus has started. Disclosing this, Mrs Eka Sun, President of the Barker Road Methodist Church WSCS, said fellowship groups of the God@Work Market Place Evangelism Ministry have been set up in the Raﬄes City, Orchard Road, Tiong Bahru, MacPherson and Suntec City areas. Growing numbers of women meet bi-monthly for lunch fellowship and Bible study. 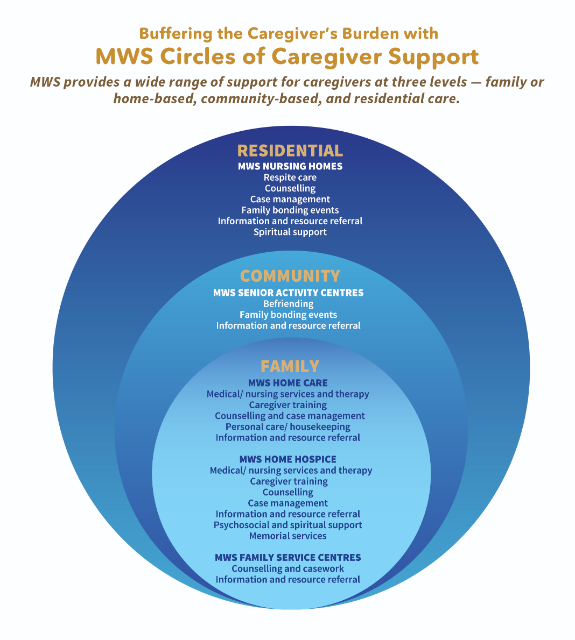 Mrs Sun announced this at the General Conference-WSCS anksgiving Service on Jan 9. It was an afternoon of praise in thanksgiving to God when about 200 women from the three Annual Conferences of the WSCS gathered at Sophia Blackmore Hall of the Methodist Centre. 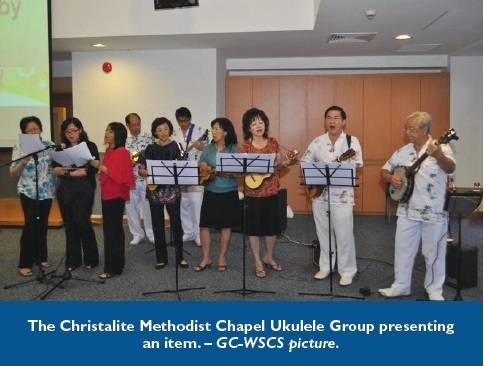 Worship rose as great hymns were sung accompanied by the ukulele team led by Mr Richard Chong. As God has made all grace, every favour and earthly blessing come to WSCS in abundance so that we are furnished for every good work, women from each Conference shared their ministries. Ms Chong Eeli, Missions Coordinator of the General Conference-WSCS, gave an account of her mission trip to Cambodia last October with 17 other women from the three Conferences. 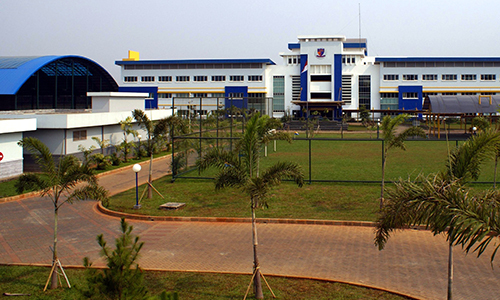 They visited the Emmaus Women’s Centre, the Methodist School of Cambodia and COSI children’s home there. The objectives of the visit were to disciple and impart livelihood skills to the girls at the Emmaus Women’s Centre, reach out to pre-believers and to encourage the missionaries. Her sharing was followed by that of Ms Gnanamani Aruldass, President of Emmanuel Tamil Annual Conference (ETAC) WSCS, who spoke of the mission trip to Hosur/ Chennai by seven women from ETAC WSCS with the Rev R. Prabhu, an ETAC Elder, and Mr Solomon Joseph, a Seletar Tamil Methodist Church leader. Visits were made to the Good Shepherd Jesus Church, the building which was funded by ETAC WSCS in 2004, a village, a school and a hostel. The Chinese Annual Conference (CAC) WSCS President, Mrs Ivy Hue, shared the past year’s ministry of her unit. Last year, in addition to their weekly/ monthly visits to the residents of Bethany Methodist Nursing Home, they made a special visit with gifts to its doctors, nurses and staﬀ, in appreciation of their contribution to the home. A surprise item came in the form of ukulele playing by a few women from Christalite Methodist Chapel WSCS, some of whom have had no musical education when they started to play the ukulele some months ago. The afternoon ended with a short reflection by the Rev Dr Wee Boon Hup, President of Trinity Annual Conference (TRAC), who reminded the women of the need to be faithful to an ever-faithful God. Expectation of our faithfulness is manifested in our actions as well as in attitude which originates from the heart, we were told. Dr Lee Li Bee is the Vice-President of the General Conference, Women’s Society of Christian Service. PAYA LEBAR CHINESE METHODIST CHURCH will hold a Hokkien worship service at its Upper Paya Lebar Road sanctuary on May 30 at 10 am. It is the second of its four Hokkien worship services for this year, and the preacher will be the Rev Dr Hasan Sutanto, a lecturer at Trinity eological College. The first service was held on Jan 31. 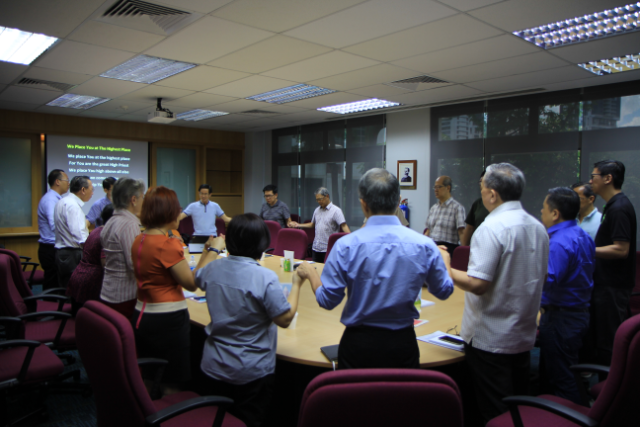 The church extends its invitation to its members’ Hokkien-speaking relatives and friends to attend the service. For more information, please contact the church oﬃce at tel: 6286-7243.